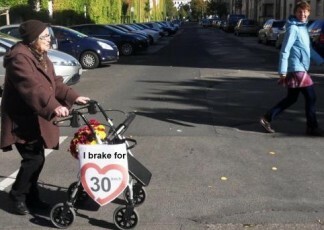 30kmh PT | Iniciativa de Cidadania Europeia "30kmh - dando vida às ruas!" 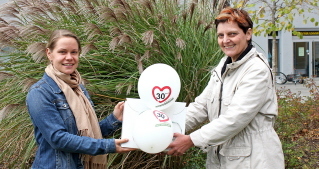 Last May, Ekologistak Martxan and the urban cyclists association, Biziz-Bizi, joined the European proposed law on reducing the maximum traffic speed in urban areas to 30 km/h. 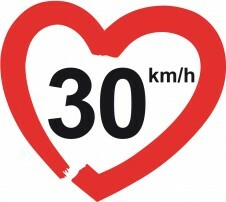 The campaign to extend such rate to an European level has borne fruit in Bilbao,<!–more–> since all the Town Council is urging the local Government Board to adopt the required measures (signalling, traffic lights) so as to procure that the 30 km/h are not exceeded in residential areas (i.e., vertically and horizontally indicating a series of streets which provide continuity to Bilbao’s cycle lanes), and to keep implementing measures that facilitate the efficient cyclist and pedestrian mobility.